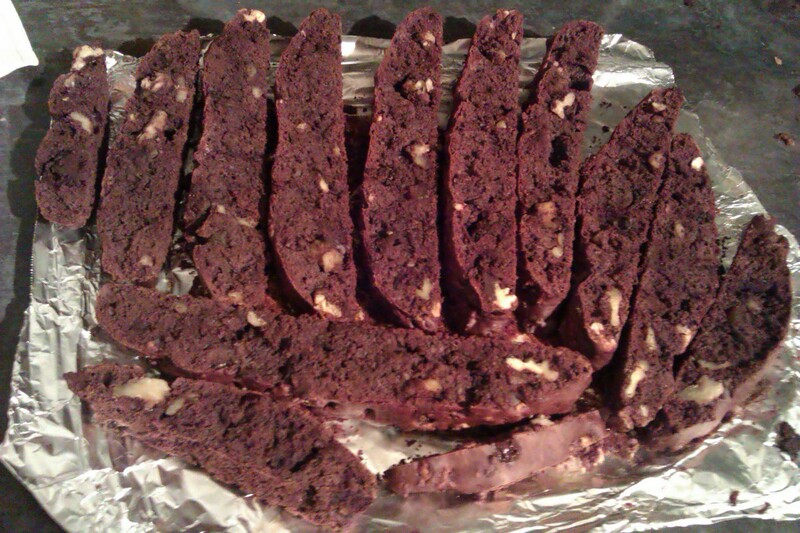 Now biscotti is usualyy eaten with a cup of coffee however I think they go just as well with a good cuppa. Start by putting all the dry ingredients into a bowl. 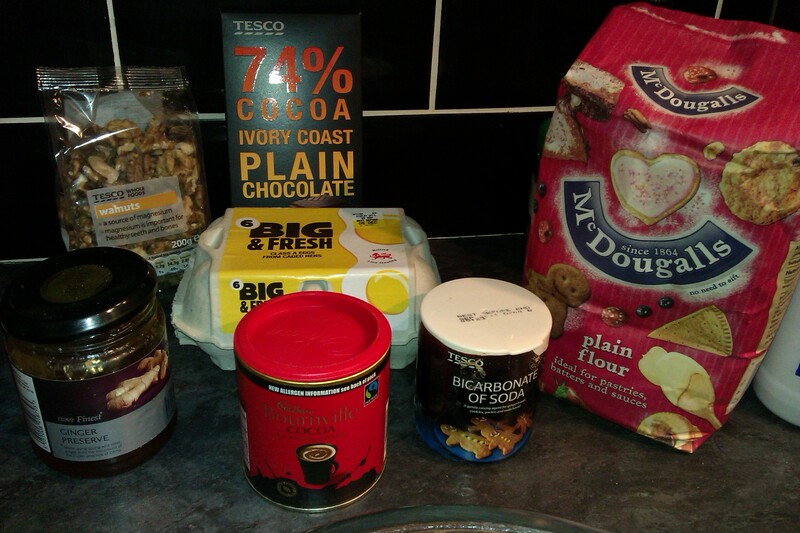 That’s the flour, cocoa, baking powder, salt, chocolate and nuts (and sugar). If using ginger preserve whisk this together with the eggs. 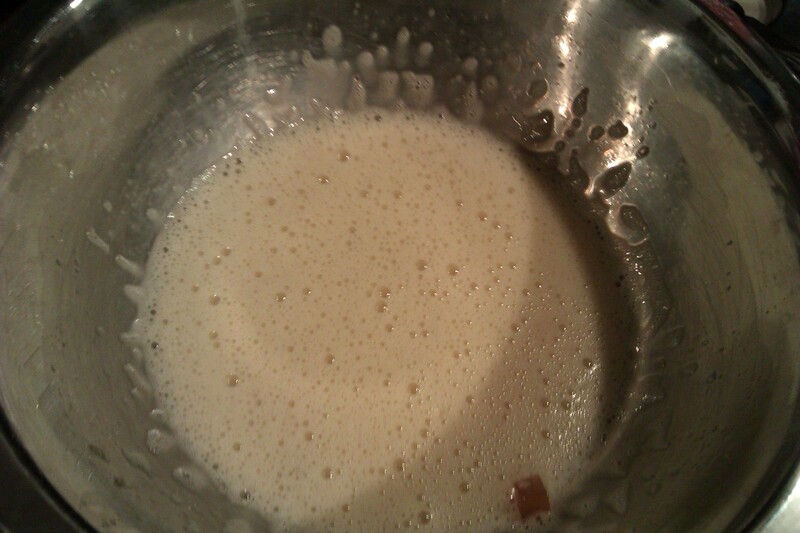 Otherwise just add the 2 eggs one by one with the vanilla essence to the dry ingredients to form a dough. 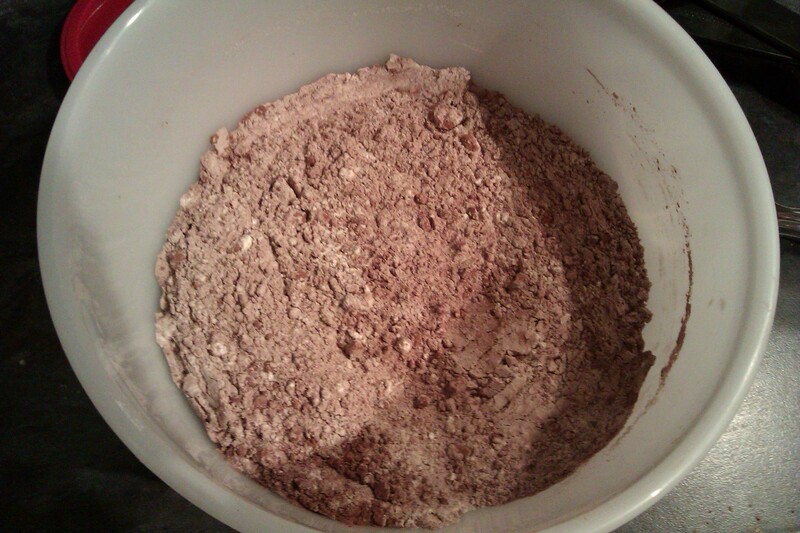 On a lightly floured surface, knead the dough into a flat mound and place on a baking tray. Then bake at gas mark 4 for 25 mins. 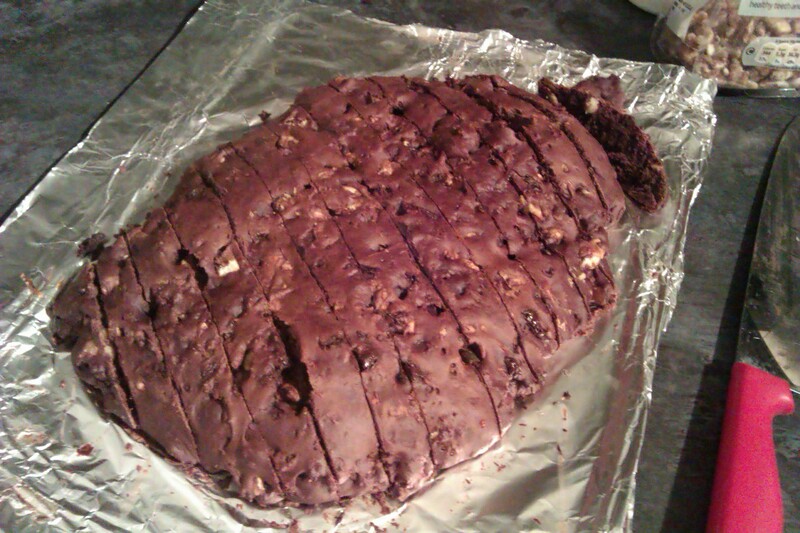 It should then be baked through making it easy to cut into half inch slices. Wait 10 minutes for it to cool before cutting into it to make it easier to handle. While you wait cool down the oven to gas mark 3. Place the slices on their side and put back in the oven for 20 mins, turning the slices over halfway through. Once done take them out the oven and place on a wire rack to cool down completely. 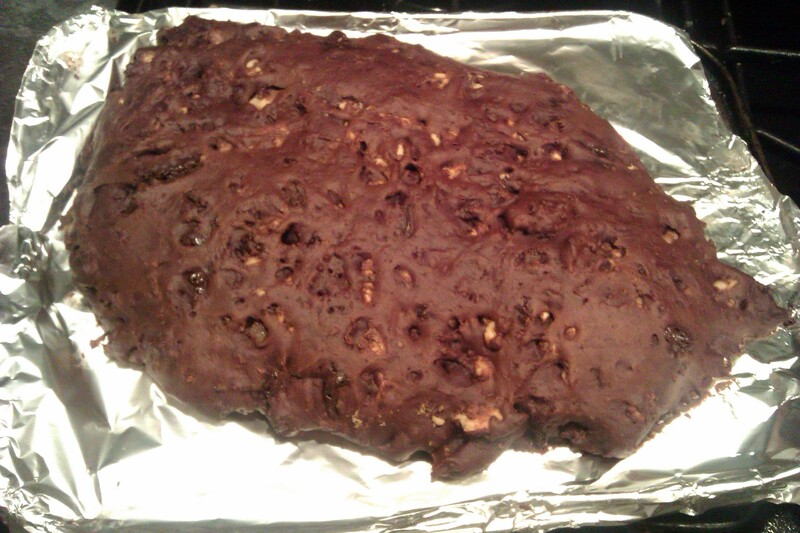 Each slice should dry out and once cooled should be crunchy and dippable into hot coffee.